An antenna is a device used to transmit or receive communications signals. This term includes transmitting and receiving elements, and rotating or other directional mechanism. 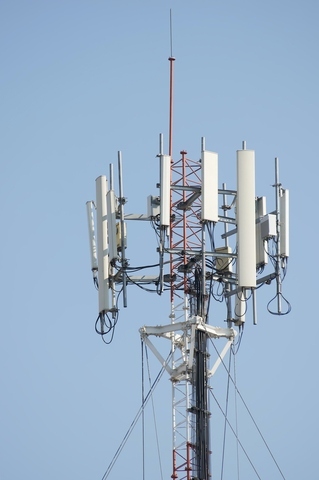 An antenna tower is a lattice-type structure, guyed or self-supporting, used to support antennas. Antennas can be ground-mounted, roof-mounted, or building-mounted. You will frequently hear or see the term “monopole” along with antenna. A monopole is a single, self-supporting pole-type structure, that supports a fixture designed to hold one or more antennas. The principal types of antennas, antenna towers, and monopoles regulated are those that, because of their shape, size, or quantity, potentially have the greatest visual impact, and include, by example, large satellite earth station antennas, and certain microwave terrestrial antennas, monopoles, and antenna towers. No application for a building permit for a transmitting antenna may be considered completed unless it is accompanied by a certification evidencing that the proposed transmitting antenna will comply with the radio frequency radiation guidelines adopted by the Federal Communications Commission and the health and safety regulations adopted by the Occupational Safety and Health Administration.